Today we are sharing Lindsay's card. 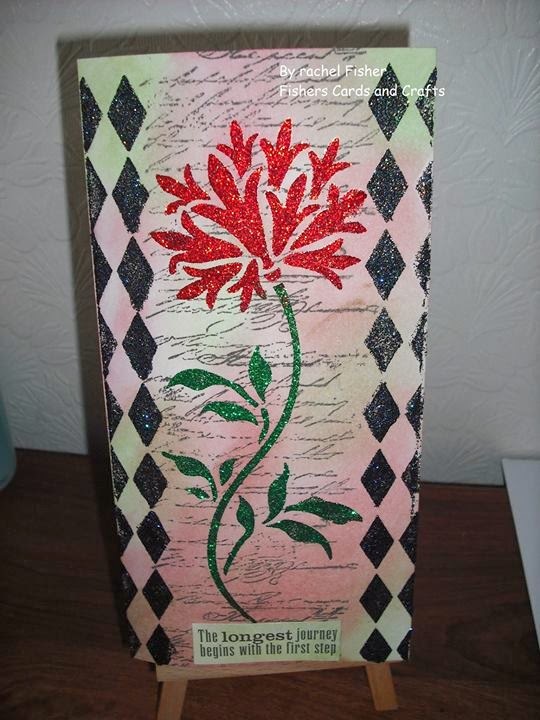 For this very pretty card she has used the Dragonfly decoupage stamp which you can purchase here. 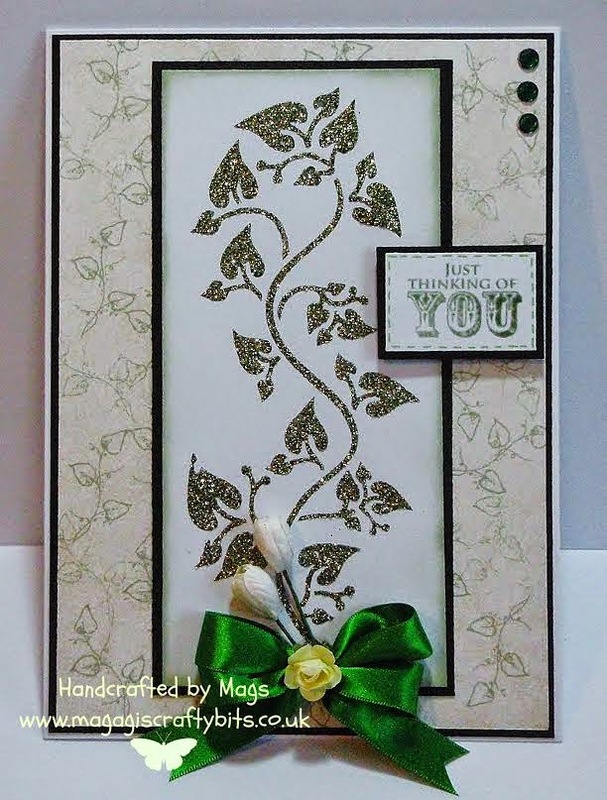 Today we are sharing Mags beautiful card using one of our new Panel Stencils with Sparkle Medium. Monday morning already, the weeks are sure marching on! We hope you all had a fabulous weekend. Today we are sharing with you Rachel's beautiful card, she has used the Meadow Flower with Sparkle Medium, we love the harlequin stencil background. 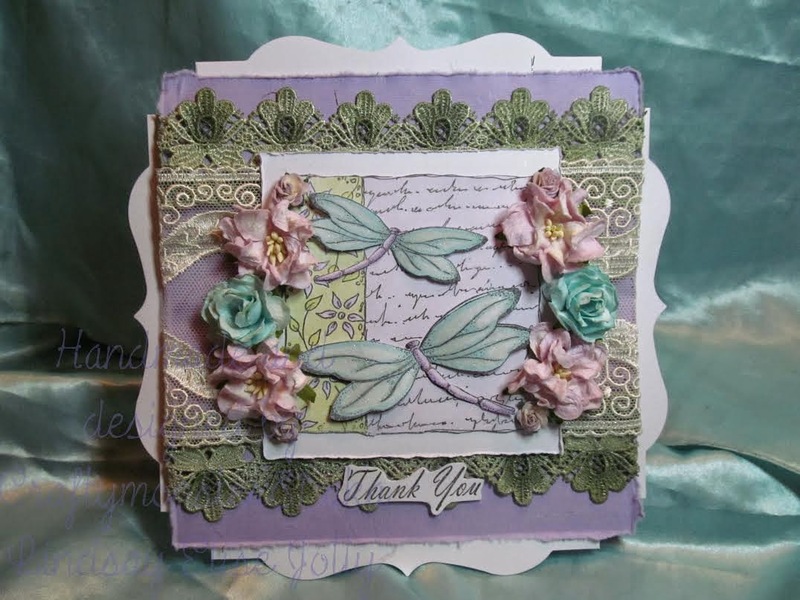 Visit Rachel's blog to see how she has created this fabulous card!